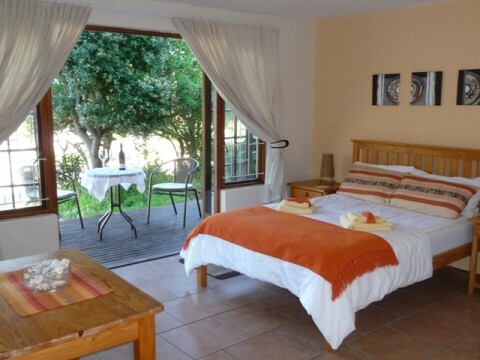 At Inn2Wilderness Guesthouse you can choose from 6 cozy and comfortable double rooms. 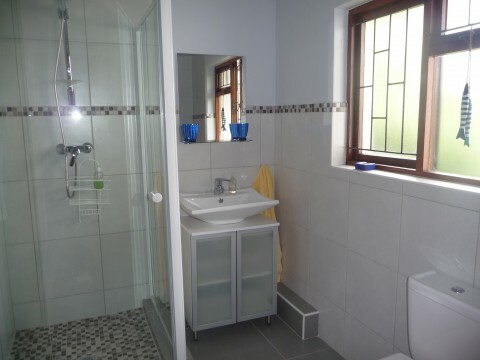 Every room has an ensuite bathroom with shower and WC, a terrace or balcony with table and chairs, each with private entrance. They are all equipped with TV (Open view), DVD-Player, radio-alarm-clock, safe, fluffy towels, hair dryer and coffee/tea making facilities. Plug adapters are provided for overseas visitors. It is important to us that you have a comfortable night’s sleep. That is why all our beds are equipped with single duvets and pure cotton bed-linen. You’ll find additional blankets in the wardrobe and in winter our beds have electric blankets. Our Dolphin Room is located on the first floor and has a private balcony with a little bit sea view. Here you sleep in a extra length queensize bed (160 x 200 cm). 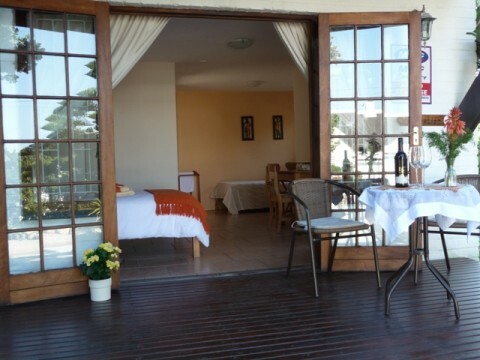 The cosy guest room features a double bed (140 x 190 cm), an additional single bed (110 x 190 cm) and an own wooden deck overlooking the garden. 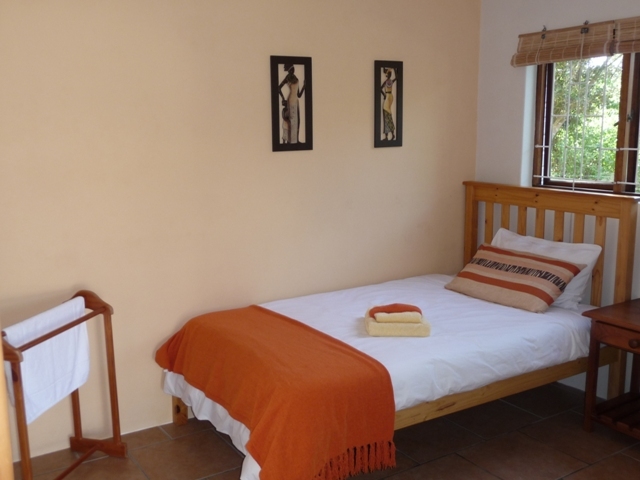 This guest room is decorated in african style and has an extra-length queensize-bed (160 x 200 cm). It is located on the ground floor overlooking the pool. 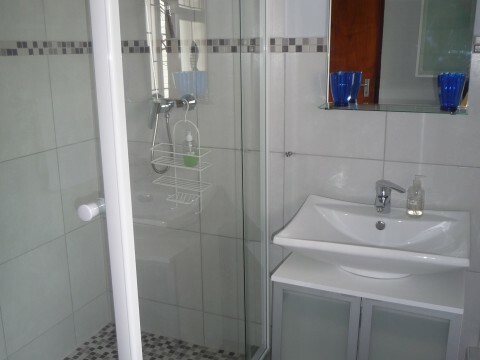 The Butterfly Room is equipped with 2 single beds (100 x 190 cm) and has an ensuite bathroom with shower and bath. It is located on the ground floor. Our Seastar Room consists of a living room with couch and TV and a bedroom with extra-length queensize bed (160 x 200 cm) It’s also located on the ground floor. The Seahorse room offers an extra length queensize bed (160 x 200 cm) and a sleeper couch (140 x 190 cm). 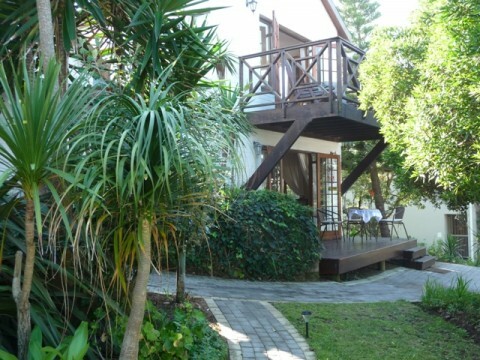 The room is situated in the garden directly at the pool.